FREQUENT DRUG USE, anti-social behaviour and abusive staff are some of the issues facing people living in homeless emergency accommodation on a regular basis. Documents released to TheJournal.ie under the Freedom of Information Act detail the complaints and concerns raised by homeless people living in state-funded accommodation with Dublin City Council. This includes homeless hostels, group homes and private hotels and B&Bs. The dates of the documents range from November 2016 to March of this year. The documents also detail the complaints raised by providers and managers of the accommodation. Latest figures for May show there were 3,327 adults and 2,226 children living in state-funded emergency accommodation in Dublin. Among the issues raised are complaints about highly abusive staff; incidents of domestic violence; frequent chronic drug use; cockroach infestations; and mould and damp in rooms. All identifying data in the documents has been redacted in order to protect the privacy of the people involved. In one instance, a mother staying in a hotel complains about having been living in the same place for 17 months with her now five-year-old son. She claims that she and her son are “treated like criminals in the accommodation” and that his mental health is being affected as a result. Rooms are damp and riddled with silverfish. The woman says her son’s mental health is suffering as a result. After following up on the complaint, the investigating officer for Dublin City Council said that they inspected the woman’s current room and found no evidence of damp. The officer said there had been a problem with cockroaches in the past but it had been dealt with. 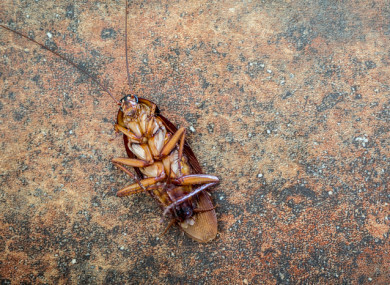 In a separate incident, a case worker writes on behalf of a tenant about an “infestation of cockroaches” in a building and that other residents were complaining also. Other documents contain reports of mites and bedbugs in accommodation, as well as instances of mould and leaks in piping soaking people’s rooms. A large number of the complaints from both residents and staff in different units have to do with anti-social behaviour. In one case dated March, someone acting on behalf of an accommodation provider writes to the council detailing what appears to be a violent domestic dispute. In this incident, two tenants (a male and a female) are reported as having been seen “fighting and screaming at each other”. The report outlines how other tenants have to restrain them and that “drink” and “cocaine” were likely involved. The way he speaks to me is humiliating, degrading and nothing short of vile. In another incident, a Focus Ireland case worker writes on behalf of a tenant, who said that the level of drug use in the hotel where she is staying “is enormous”. “She stated that the level of drug use in the hotel is enormous,” the complaint states. She said that mothers are taking a tablets [sic], cocaine and smoking weed in their bedroom with their children present on a daily basis. She said that the staff seem to turn a blind eye to this. “Many residents apply for a transfer from PEA (private emergency accommodation) the same day they are placed here. There are no cooking facilities, no meals provided and no laundry facilities,” the complaint states. It is impossible for a family to live with any kind of stability. The stress, due to financial strain and the chaotic drug taking environment is having a detrimental effect on every patient and child residing in the accommodation. The issue of young children and adults experiencing mental health stress and strain is also raised frequently. Hotel staff in March raised concerns about a female resident who promised to “bring it to the ground” when asked to leave the accommodation. This woman also said an autistic child living in the unit didn’t have autism and that she would “get the devil out of him”. The Government has come in for strong criticism in recent years for its use of hotels and unsuitable accommodation to house homeless families. Fergus Finlay – CEO of children’s charity Barnardos – called it a “crisis of unprecedented scale for children in Ireland”. “All children need a safe, secure and appropriate home so that they can grow and thrive,” he said. Without this basic necessity we are setting them up to fail. Grainia Long, CEO of the ISPCC told TheJournal.ie last year said that “children’s human rights are being breached in a number of areas relating to use of hotels and B&Bs as emergency accommodation”. “It’s our experience that where [residents] raise these concerns that it can jeopardise people’s placement,” he said. Ó Broin said that every person should have access to good quality accommodation in which to live but that children being subjected to the kind of issues outlined above was “particularly concerning”. He said Hiqa – the health and safety authority - should be given statutory powers to investigate standards in all emergency accommodation to ensure they’re up to code. The Government has recently begun to move away from hotel accommodation towards the group home “family hub” model. However these hubs have already come in for strong criticism from a number of quarters. TheJournal.ie has contacted the Dublin Regional Homeless Executive for comment on the documents. Email “Cockroaches, mould and chronic drug abuse in front of children - life in homeless accommodation”. Feedback on “Cockroaches, mould and chronic drug abuse in front of children - life in homeless accommodation”.